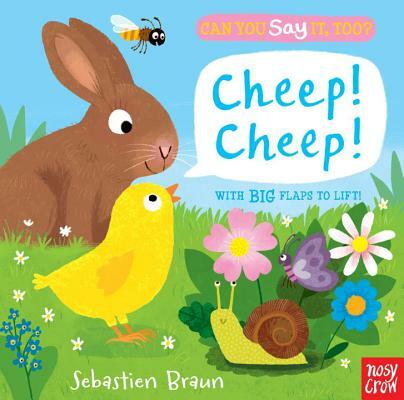 Five lavishly illustrated spreads, big recessed flaps, and a host of adorable animals to spot, name, and mimic combine in this delightful little board book series for the very young. Sebastien Braun is the creator of the novelty board books Peekaboo Baby and Who’s Hiding? and the illustrator of the Can You Say It, Too? series. He studied fine arts at the University of Strasbourg, France, and now lives in England. Apart from creating pictures, his favorite pastimes are making toys from wood, playing with his children, and climbing the Cotswold Hills on his vintage road bike. Spring is in the air, and woodland critters are out to play...A pleasant spring read for emerging speakers. Series: Can You Say It, Too?